I’m here to introduce to you MVP Draft, a brand new Daily Fantasy Sports site that aims to bring the fun and excitement back to fantasy sports. MVP Draft is the world’s first free-to-play DFS platform that anyone ages 13 and up, anywhere around the world can play. Instead of playing for real cash, users manage digital currency in the form of MVP Points and Blue Chips. WHAT ARE MVP POINTS AND BLUE CHIPS? MVP Points are MVP Draft’s standard currency. You use these to enter most contests where finishing in a winning position multiplies your MVP Points winnings. New accounts are credited with 10,000 MVP Points to get started. Blue Chips are the site’s premium currency. You win Blue Chips by placing high enough in certain contests – big finishes in tournaments will net you more Blue Chips than a head-to-head or double-up for example. 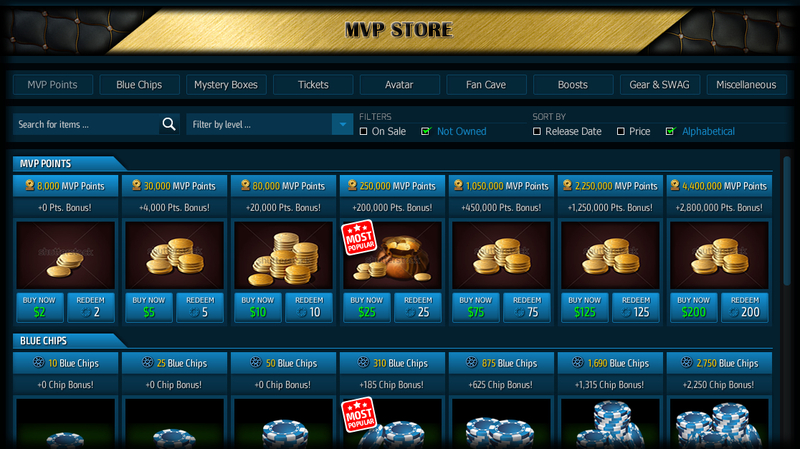 Earning Blue Chips opens the door to premium play opportunities on MVP Draft such as rated contests, survivor contests, and special bonus games where you can win rare digital items to enhance your avatar. LIVESWAPSM vs. DAILY: HOW DOES IT WORK? 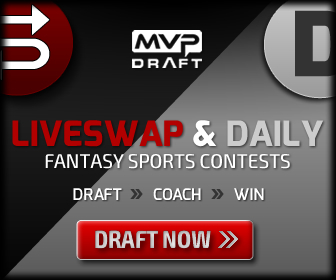 MVP Draft offers two types of daily fantasy contests: LiveSwap and Daily. LiveSwap contests follow a salary-cap format with a serious twist: users can swap players in and out of their lineup during the contest. Did one of your players get injured during his game, or is he not performing to your liking? Swap him out! Each position on your 9-man lineup is allowed the equivalent of one full game of minutes. For example, in NBA contests each position is permitted 48 minutes. The position’s minutes remaining will count down as that player’s game transpires. You earn points for the time a player is on your lineup. When the clock strikes 0 you stop earning points for that position. When making a swap, the incoming player’s value must be less-than or equal-to the original player’s value in that position. Once a player is swapped out you cannot use them again for the duration of the contest. 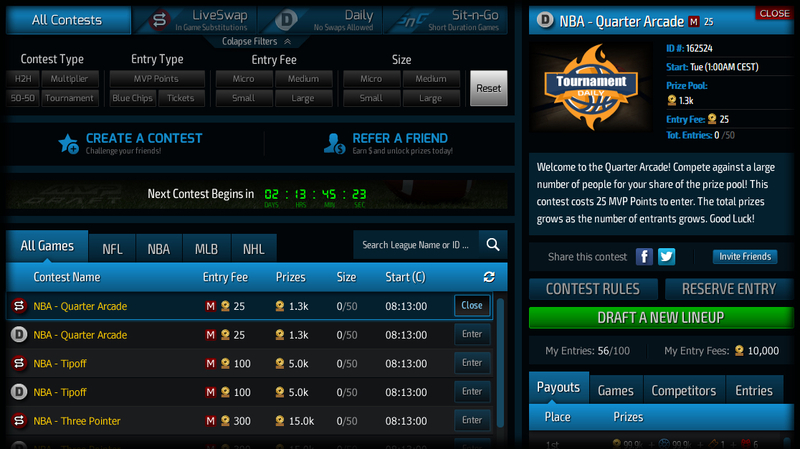 Daily contests will feel most familiar to existing DFS users – there are no swaps allowed. Think of these contests as a ‘set it and forget it’ option, suitable for users who may not have the time to play LiveSwap. Friend List: Following other users on MVP Draft adds them to your friends list and makes it easy to challenge others to head-to-head matches or create private multi-player contests for extreme bragging rights. They are also adding the ability to integrate this list with your Facebook account in the very near future, making it that much easier to play with friends and family. User Profiles: The profile on MVP Draft is a unique reflection of each user. 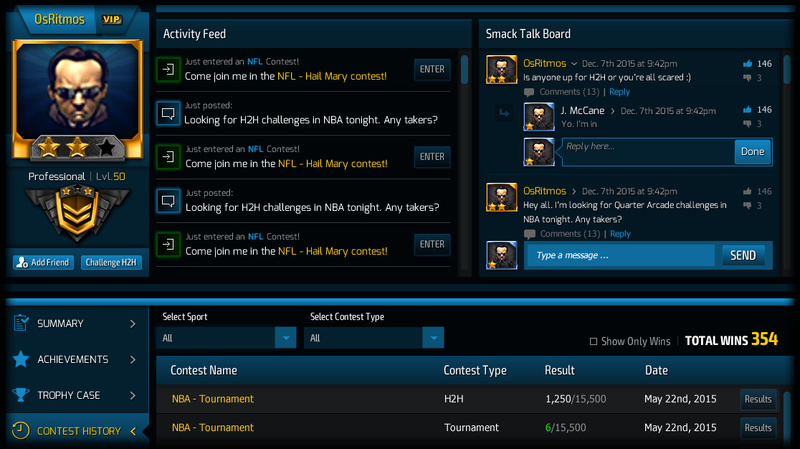 Other users are able to research your recent contest results, check out tournament trophies and plaques that you have won, view your current rating in each sport, or see what upcoming contests you have been entering and join you in the action. Soon users will also have the ability to customize a unique avatar with items won through a special spin-to-win style bonus game where users spend Blue Chips on spins to win rare digital items. The avatar is shown off throughout the site and is very visible to other users. Daily Achievements: Another exciting feature of MVP Draft are daily achievements, which provide a unique alternative way to play daily fantasy. Completing achievements will earn you XP-points corresponding to the difficulty level of the achievement. 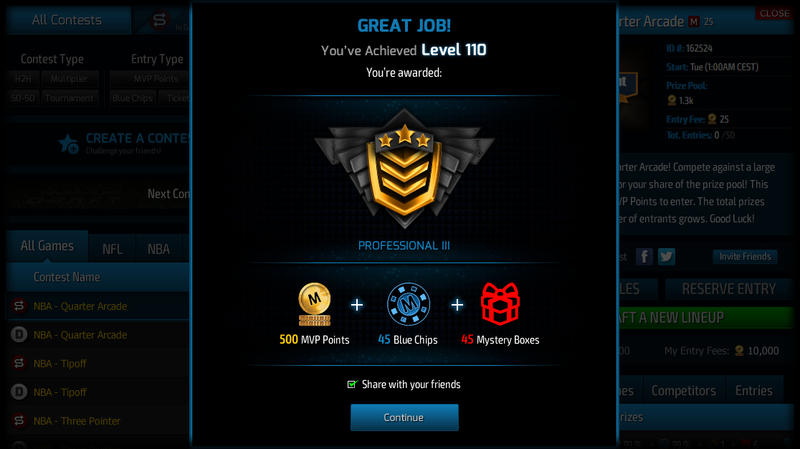 Earn enough XP and you’ll level up, rewarding you with more MVP Points, Blue Chips, and special badges to show off on your profile. New achievements will be added regularly. 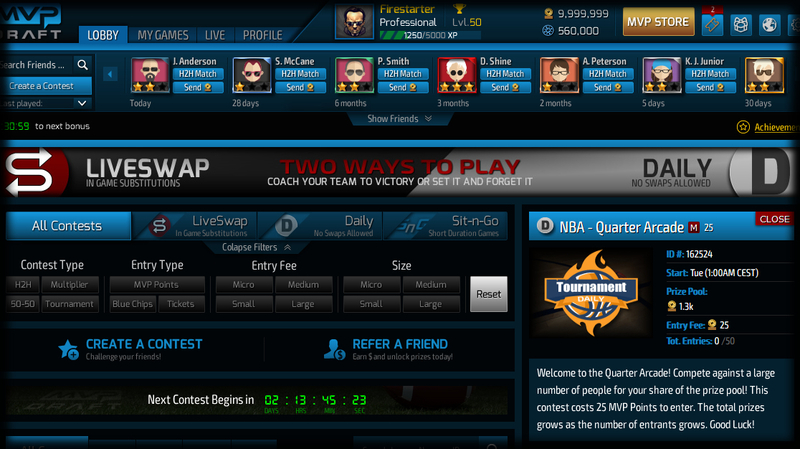 Global Leaderboard: The global leaderboard takes daily fantasy competition to new heights. Users are ranked against one another by total MVP Points balance, Blue Chips balance, NFL rating, NBA rating, or MLB rating. Rated Contests: Think you’re a good daily fantasy player? Prove it! Rated contests will be head-to-head matches that utilize an Elo-based rating system, which takes each competitor’s rating relative to one other into account when deciding how much a winner or loser’s rating changes after the match. Ratings will be segregated by sport and sortable in the global leaderboard. 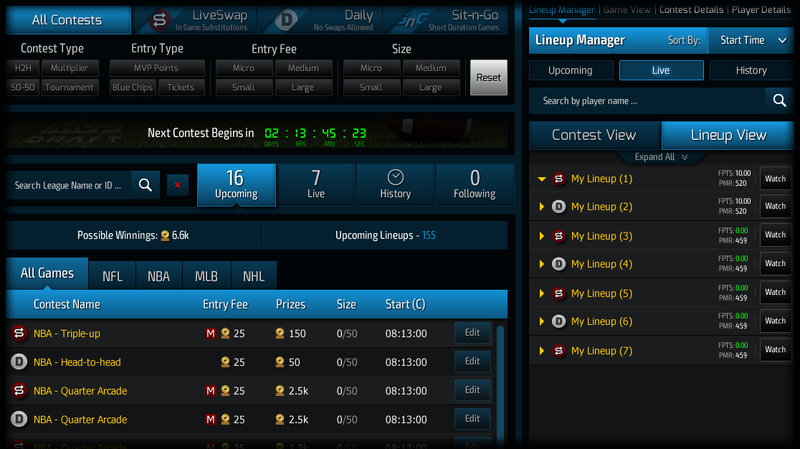 Users of existing daily fantasy sites will feel right at home on MVP Draft. The Lobby page is easily navigable with a simple filter section at the top allowing you to find your desired contest very quickly. 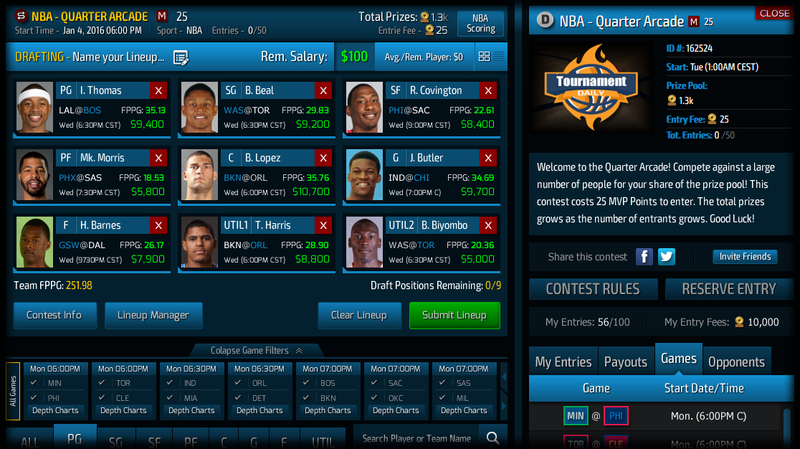 Drafting lineups on MVP Draft couldn’t be easier. The sidebar-style layout makes player research a breeze – you won’t find pop-ups anywhere during this process. The ability to switch between grid-view and list-view for lineups is certainly handy, while naming your lineups makes lineup management very easy. Finally, play-by-play of each game on their Live page is a unique feature that makes watching live lineups that much more fun. The ability to see how players have scored fantasy points in graph format is unique, and the ability to see the performance of players not on my lineups is fantastic. There’s no shortage of in-game research one can do on MVP Draft! 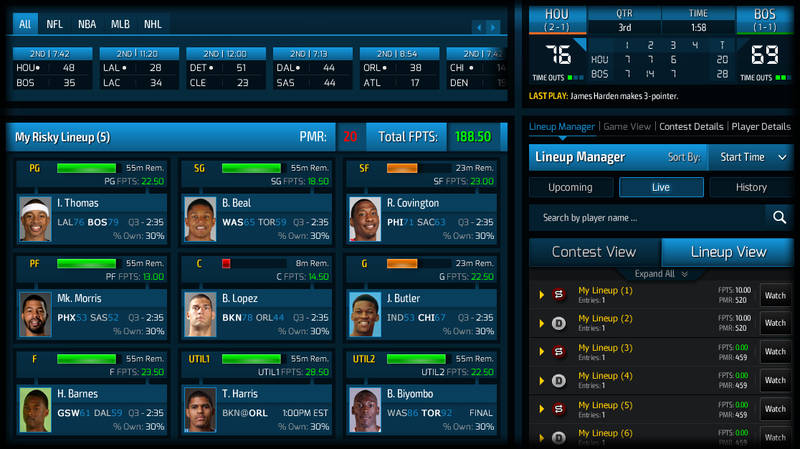 The team at MVP Draft is working tirelessly and will continue to roll out new features on a weekly basis. They continuously strive to make their site the best fantasy sports destination in the world and are always looking to improve based on customer feedback. Check out some of these screen shots! It’s a beautiful DFS platform.